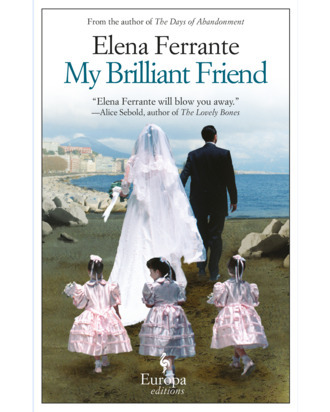 You’ve just devoured the Neapolitan novels by the mysterious Italian writer Elena Ferrante, which tell the story of the beautiful, tumultuous friendship between Lenú and Lila, which begins with their childhood in Naples in the 1950s. Well, now those books are going to be a TV show. FremantleMedia’s Wildside and Fandango Productions will adapt the four novels as four eight-episode series, one for each of the books — My Brilliant Friend, The Story of a New Name, Those Who Leave and Those Who Stay, and The Story of the Lost Child. And just in case you were worried, THR reports that Ferrante herself will be involved in the production of the series, and it will be shot in Italy. (Phew.) In fact, Fandango has been working on adapting My Brilliant Friend for the last two years. “I’m confident that together with Wildside we can realize something great, very respectful of Ferrante’s work and our Italian culture and, at the same time, with real international appeal,” said Domenico Procacci, CEO of Fandango. So if you haven’t started reading, treat yourself this Presidents Day weekend.